One of the fascinating sectors in Africa is transportation. It is also one of the most underdeveloped with so much potential as it touches everyone directly and indirectly. It is the backbone of economies. Even in war-prone areas, warring sides depend on logistics for survival. I have always said that the two mechanical tools that have impacted Africa the most in recent times were the AK 47 assault rifle and the motorcycle. 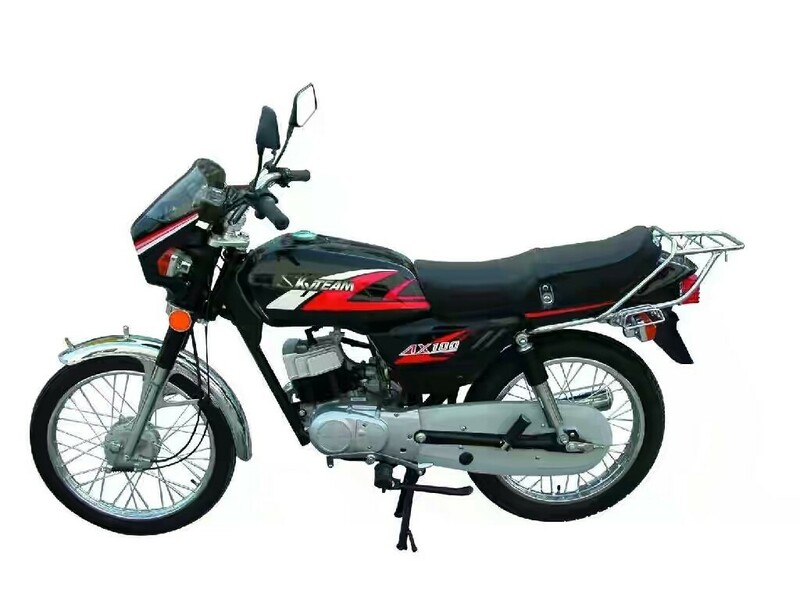 The motorcycle has helped to open up new markets in the urban areas and hinterlands as it made it possible for people to move around in spite of inadequate infrastructure. It is the most effective mechanism for merchandise distribution to the last mile. Distribution of commodities including fast moving consumer goods and telco airtime would have almost been impossible without it. We probably would not have the dominant networks and telco infrastructure we have today if dealers could not distribute products to inaccessible areas. Indirectly, the motorcycle is responsible for Africa’s digital progress. The first dominant brands of motorcycles we had were from Japan. Suzuki and Hondas were preferred while the cheaper Chinese brands were very few. That preference changed as motorbikes became a hit. Chinese brands became a lot more popular as they were not only more affordable, there was an entire support ecosystem built around them. The nickname “Okada” was given to these motorcycles because they got people to their destinations more speedily. Okada is a town in Edo State and the birthplace of Chief Osawaru Igbinedion the founder of the once famous Okada Airlines. It was the first major indigenous airline. The commercial motorcycle riders adopted the brand as a moniker. I remember my cousin telling me of his classmate in university at Hertfordshire who started importing motorcycles to Nigeria from China when he found out that there was high demand. The young man eventually dropped out of school when he discovered that there was even more profit in importing the motorcycles as parts to assemble back home in Eastern Nigeria. It was a goldmine as demand for the bikes and the spares seemed bottomless. The young man is probably a Billionaire today. As usual, he was not alone in discovering this new loophole as others in Nnewi started doing the same thing and some went further to start manufacturing simpler parts of the motorcycle locally creating a new manufacturing industry altogether fueled by demand. The motorbike had started the wave of creating new millionaires and Billionaires with Nnewi at its epicentre. This phenomenon was all demand-driven or “Pull Innovation” according to Clayton Christensen. On the supply side, new ecosystems were being built to supply not just parts and safety accessories like helmets; it also included ad-hoc fuel supply in remote places. The enterprise of transportation using motorcycles became more structured with unions registering members and has been recognised by governments and being regulated and taxed. As of 2014, there were eight million registered Okada riders in Nigeria. What does all of this have to do with technology or technology companies? There are a lot of parallels then a sharp divergence. The future may be about convergence when we understand that motorcycles and tech are very much linked. The Nigerian tech industry had a solid start with hardware as companies like IBM had a direct presence selling hardware and software products before indigenisation happened during the first Obasanjo era. Indigenisation also affected foreign software companies and it led to the proliferation of local technology companies who provided services to a new crop of locally owned corporates. The economics around the motorcycle transportation business is fascinating, and it comes from the demand for transportation in spite of infrastructure constraints and the adaptation of the players to create an entire industry that is now even taxed by governments. Computer technology also followed the same path and a lot of progress has been made in spite of apparent constraints. The same Igbo traders who crashed the prices of Okadas and made them readily available also crashed the prices of computer hardware and subsequently mobile phones by building an entire supply chain and support ecosystem around it. They discovered that is was cheaper to ship in computer hardware parts which were used by local tech people to assemble computer systems. These assembled computers were a whole lot less expensive than the major brands like IBM and others. It led to a tremendous supply of computer hardware and an increase in talent that now created an entire industry. Where divergence happened was the advent of the Internet. While demand for hardware increased, demand for services provided by devices outstripped it, and it led to new rental models like cybercafes which would become the birthplace of cybercrime and fraud. We can’t even begin to imagine the damage that 419 crimes have caused our technology sector. We not only lost valuable talent but our global reputation became tarnished. I kept asking why several banks outside Nigeria stopped using Nigerian built software, but nobody could provide a reason until I travelled to a security event in Florida and given the “Nigerian Treatment”. “419” crippled a once vibrant sector that has only recently started to build trust all over again gradually. We now have Nigerian built startups getting validation and funding from foreign investors because they have seen a local market. The market remains crippled by infrastructure deficiencies, but the Okadas still make things work! How can our tech company founders become as prolific as Okada transportation entrepreneurs? We need to learn from Indonesia and specifically a company called Go-jek. Go-Jek is an Indonesian Unicorn with a valuation of over $9 Billion! The exciting thing is that they started to scale as a motorcycle ride-hailing company that evolved into a lifestyle company touching the lives of most people through only one app. Their slogan is simple — One App for all your needs. Indonesia has always had parallels to Nigeria, a young population who are very much present on social media but scattered amongst several islands with similar infrastructure constraints. How was an “Okada” based startup able to achieve so much growth? I think it was because it didn’t see itself as a Silicon Valley company as our startups typically do but saw itself first as an Indonesian company solving Indonesian lifestyle problems- “One App for all your NEEDS” with the emphasis on NEEDS. The Okada in Nigeria meets a lot of needs and the next Go-Jek in Nigeria is probably not likely going to start from ride-hailing. According to Nicole Zhu, VP of Fraud at GO-JEK — “What many people don’t know is at GO-JEK’s founding; the company was essentially running a call centre.” The app came later. I believe the next Go-Jek in Nigeria will be a startup that recognises first that excellent service is essential. It will also be one that is not focused solely on the middle class or millennials and realises that the same customers that use an Okada will use its services. Its services have to meet NEEDS and be ubiquitous. Go-Jek realised that the motorcycle was a vector of services that could reach places where others could not reach. Maybe the next African Unicorn will understand that it is not just by replacement or partnership with Okada riders it is by learning Okadanomics — Reaching the difficult places and building a new market. This difficulty becomes the moat. As of 2014 (5 years ago), Nigeria had 8 million registered Okada Riders. About 5 million out of the 8 million registered riders had a microinsurance policy.